CS: How far into pre-production are you on "The Man With the Iron Fist"? RZA: I'm at the first week of pre-production, actually. I got my [director of photography] hired already. RZA: ["Hero" cinematographer] Chris Doyle. I'm very proud to have Chris on board. We've got a great production designer as well. He [Franco-Giacomo Carbone] just finished doing "The Expendables" and things like that. I'm produced by Eli Roth, and he co-wrote it with me. He helped me write it into a format that Hollywood would understand, because I'm writing from my own ideas of kung fu movies, and certainly the western way of looking at films is different than the Asian way. So he helped me fix the little problems that I had, and then we took it into the studio, and they were like, "great script." Everybody appreciated what I did and they gave me an opportunity to go to work. And you know I've been mentored by [Quentin] Tarantino, and even why I'm here is thanks to Tarantino, because he introduced me to Tim and everybody, and beyond our friendship, I couldn't undertake this endeavor without really having him somehow involved. So I went to him and I was like, Quentin, everything is cool, but you're not involved in this, and I would love for you to be involved. He's proud of me and he said, "I'm proud of everything you're doing and proud of how far you took it, and if there's any way I can help out, I would love to." So I said, if you come on board as a 'Tarantino Presents,' I think that would help me. He said, "well, how does that help you?" I said that it helps me in the sense that 100 of these movies are made a year, and what's going to separate mine from the rest, not only with what I'm doing, but just when people look at the list [of movies] to see what they want to buy, that would really help me on an international level, and you couldn't put a price on that. He said it would be his pleasure and his honor, and so he came on board, and I think I've got a great team of people - Marc Abraham, Eric Newman, and the whole crew over there at Strike. We actually have Bill Kong helping us, who produced "True Legend," so I should be able to make this work and deliver a great piece of art from a western point of view. CS: How soon are you starting to shoot the film? 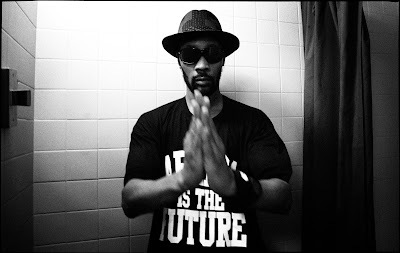 RZA: We've got 12 weeks of pre-production and this is our first week. I leave next weekend, and I'm probably going to be stuck over there for 22 weeks, over in Shanghai. CS: And how much of the cast do you have at this point? RZA: As far as my primary cast, I have 80 percent of that done. I haven't cast my two primary females yet, which is very fun; I'm learning why directors want to be directors. Girls walk into the office, and man, it's like "whoa." I'm like, 'maybe not this, but something, baby, something!' As far as the preliminary cast, I've talked to people and I've got a lot of repertoire from the Asian actors, and the Korean actors have been doing very well--there's some very good talent out of there--and I've been seeing which face fits my characters, and also the diversity of English-speaking Asians and Mandarin and Cantonese-speaking Asians. Somebody else who I guess I could put out there is Cung Le; he's a mixed martial arts fighter, and he's the guy that broke Shamrock's arm with a kick. He wants to be an actor, so we sat down last week, and he has the face for one of these characters, one of the Lions called Bronze Lion. He speaks both languages pretty well, so I told the studio that I want Cung Le. CS: Just to clarify, there seems to be a lot of dispute over "Wu-Tang vs. The Golden Phoenix," the trailer attributed to you that's all over the internet. Was that shot as a proof of concept for "Man with the Iron Fist," or was that envisioned as an actual film you were going to do? RZA: "Wu-Tang vs. the Golden Phoenix" was my own independent film that I did myself, out of my own pocket. 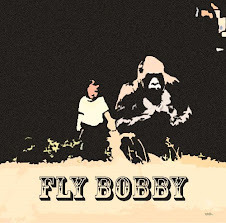 I put together close to half a million dollars and went for it; I called Robert Tai because we have a friend [in common] who's into these kung fu movies, and he said, I know Robert Tai, who did the fight choreography for "Five Deadly Venoms." I had already done video with Kai Wong and Tony Leung, who played in that film "The Five Superfighters," because I met them when I went to Hong Kong in 1998 to do that video "Tragedy," and we all became friends. So I invited them over to America for [the video for] "Gravel Pit," and I went to Hong Kong again on tour, and they did a video for me on consignment – three days of work and no money. I paid them like 30 days later when I got home off of tour, and so we became friends. So I reached out them and said, I want to see if I can do it; I said it wasn't even a script, I wrote this treatment that was about 15 pages, and we vowed to make a movie out of it. They flew over here, actually flew back and forth, and we actually filmed this thing, and it was my lesson and my school of knowing how to make martial arts films. So I have that in the can and maybe someday we'll show that to the world, and maybe we won't, but it's about 70 minutes. For that film, we watched Yuen Woo-Ping films like "Drunken Master," "Dance of the Drunken Mantis," and [Joseph Kuo's] "Seven Grand Masters," but that's a different style than Shaw Brothers. So ["Golden Phoenix"] was kind of their homage, paying homage to his films and things like that, and that's why you see the way they dress and that all of the make-up is in that style. But "Iron Fist" is totally, totally different. CS: Along those lines, "Golden Phoenix" looked amazingly authentic to the period and style of those older films. Is "Iron Fist" going to be more modern, or is it the type of film that if you were to release it in 1978, it would fit in perfectly? RZA: If Golden Phoenix was released in '78 or '79, it would fit in perfect. It looks like one of those movies that you saw but didn't see. But this one will actually be like, well, did you ever see "Once Upon a Time in China"? RZA: When you first saw that, didn't that f*ck your whole head up? This has got to be on that level – a bigger production, more resources, and more talent brought to the table. We have a real studio behind us and we have a real back lot and everything, so I should be able to bring it to a level where you could see it in any time frame. That's my aim, and you never know, but I'm aiming big. CS: Are you trying to create something like Tarantino's films, which gain a sort of automatic cult status as soon as they're released, or is "Iron Fist" more of a mainstream movie? RZA: I'm happy to fit into a similar groove because this is a man I've sat under for six years and watched, and I've got to make him proud. Eli is another student of his, but Eli is established already as a filmmaker, but this is my first film and I've really got to make him proud. So if I could make a cult classic, then I would be very satisfied, but I would love it if I could make a hit that would make the rest of the world appreciate this genre as much as I do and maybe have Hollywood invest more in these films, to really embrace the genre, and to live as its own thing like the horror genre. Tarantino, when he put his name beside the movie "Hero," which was produced by Bill Kong, that film opened to be the biggest subtitled film in history, so there's a taste for it, but nobody in Hollywood follows the trend. They just take it and move on, and there are so many bad films that we've got to put up with (laughs). I want to be able to help realize that we can make films at a certain low level as far as dollar investment, and as far as pleasing the audience, they're going to buy it and watch it – and if I'm lucky, spread a little philosophy, because I think that's what Wu-Tang did. We showed the diversity of creativity from all walks, and I hate to use this word, but I think we helped create a rainbow coalition of fans that could come together under one roof and celebrate the same thing. CS: Can you talk about casting Russell Crowe in the film, and also about what you're looking for in the rest of your cast? I don't know if you can confirm any of the other casting choices, but in terms of international possibilities, what sort of performers are you looking for? RZA: I would love to bring these worlds together. That's what I'm striving to do. My budget is not as big as some of these movies, so I've got to pull a lot of favors. Another buddy who is on board is Dave Batista, the world wrestling champion who left and now he's into Strikeforce and he's going to be doing mixed martial arts. To have him come on as Glass Body, when I talked to him about it, he was like, "I always wanted to be The Toad in 'Five Deadly Venoms,'" and I said, this isn't The Toad but the character is very similar, and he said it would be his honor to do it. So to have him and Russell Crowe standing beside each other, two men, real men, is exciting. But I'm looking to make this an international thing that brings both worlds under one umbrella and get out a good piece of art. CS: I've spoken to you in the past at events like your appearance at the Los Angeles Film festival where you mixed cartoons together live, just like music. How easy or tough is it to add new challenges to your repertoire? Do you have to sort of stop doing some things, like, say swearing off music for a year to make a movie, or how do you manage all of these different projects? RZA: It's hard, I've got to admit – it's actually harder than I thought. The music schedule is late night since I've got my studio in my basement, but people expect me to be there nine to five, they expect me to be focused, so this is actually a very mature, grown-man endeavor, and actually I do have to sacrifice music in a way to finish this. I've been getting some calls for some really interesting prospects from people who want me to help them with their music, like this Kanye West thing that came out about me helping out with his project. But people are reaching out to me, and I'm like, I'm not doing music right now. But music right now is something I fortunately can do for fun; it's not something I have to do for money, so I just do it as a hobby. I'm going to have my guitar on set with me, so I will be thinking musically, and I think film and music speak the same language, because you can't watch a movie without having some music in there. In the old days when they did it, they had no words, and they still had music! So it's not an easy thing, but doing this project right here, I thought about whether I was biting off more than I could chew, so I just keep it simple, keep hustling, and keep making money and keep my family sustained at the level we're at. And when I take this risk to make a piece of art that satisfies me spiritually, eternally just to see it come to fruition from a dream to reality, it's satisfying. CS: Do you find that people are surprised to see how sincere you are about the spiritual aspects of your art and your lifestyle? Rappers have been known to adopt something one week, and drop it the next. RZA: Yeah (laughs). People are beyond surprised. But mentally, I think that we all have a quest, a thirst for knowledge, truth and spirituality, and we turn it on and off based on situations. But we should never turn that light off; keep that candle lit so you can see where you're going. I try to keep it lit, and I don't let money interfere with that – and sometimes I don't let my family interfere, which I don't advise that because life is all about your family. But sometimes I've got to go months without seeing my family because I have to complete something that's going to live beyond all of us, and that's what you've got to do sometimes. And not to compare myself to this person by name, but when we look at Jesus, there's a verse in the Bible where his mother is like, "where have you been all day? Your father and I have been looking all over for you." And he said, "I've got work to do." You know what I'm saying? And that's what I feel like, man – I've got work to do. And sometimes it doesn't even feel like me that's driving it; it's like it's destiny that's making me come. Like even getting on a plane this morning to be here to present this award to master Woo-Ping, I mentioned something to him about my film and maybe choreographing it, and his partner said, "It's not about money – maybe we can make it work." So maybe it will happen, but just for me to be here and let him know that this is somebody that really admires you who is giving this to you, and who is going to take what you gave to the world and help multiply it to other people, bong bong is all I can say.